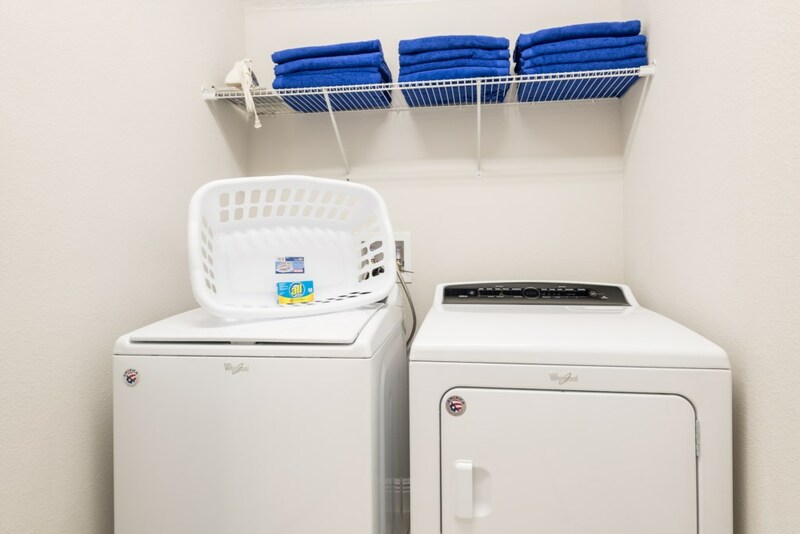 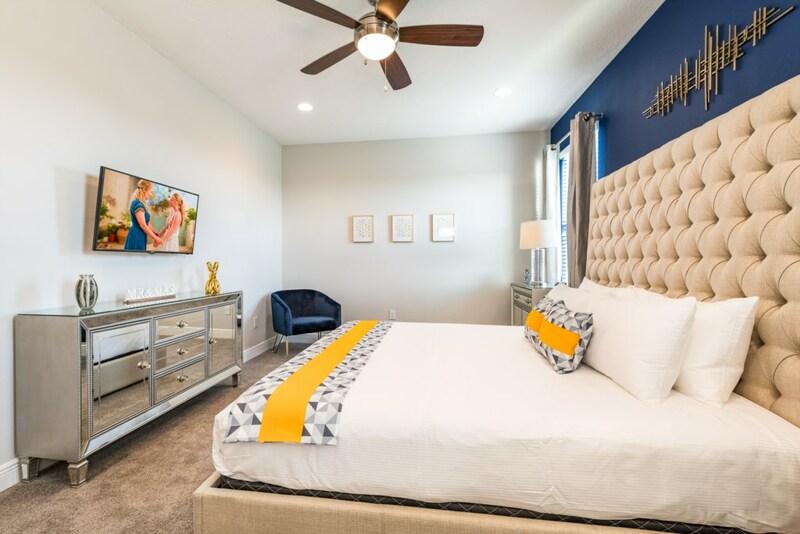 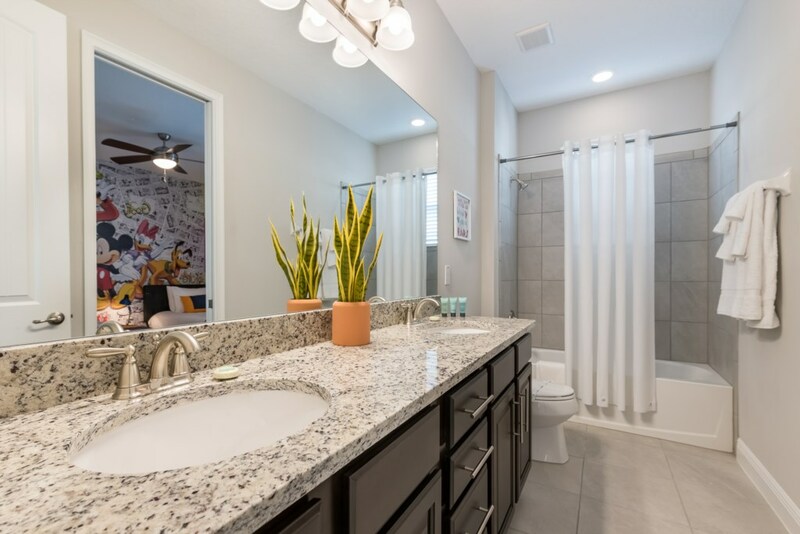 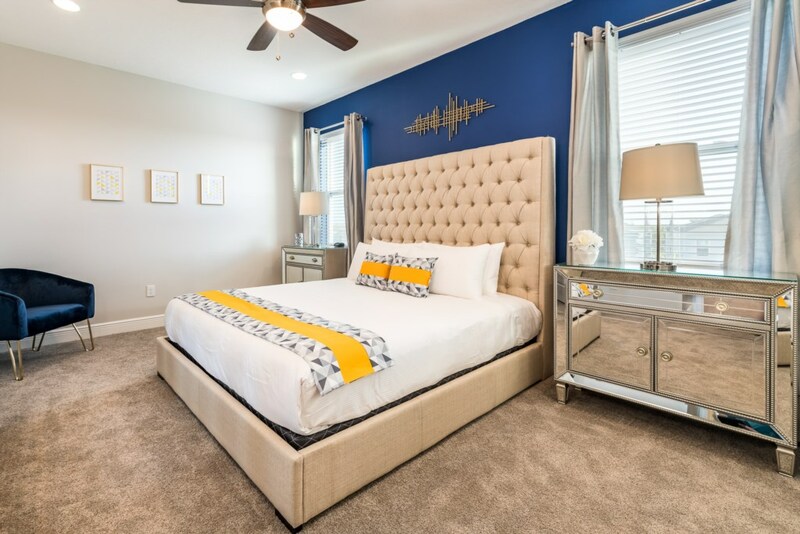 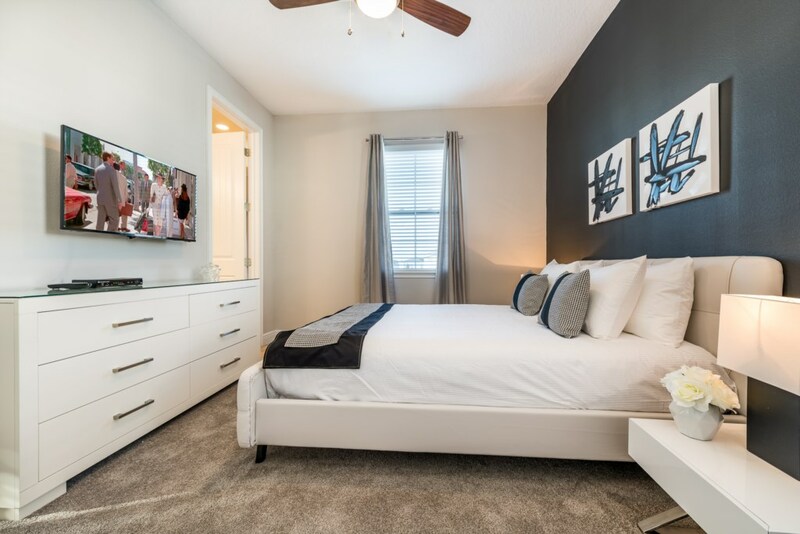 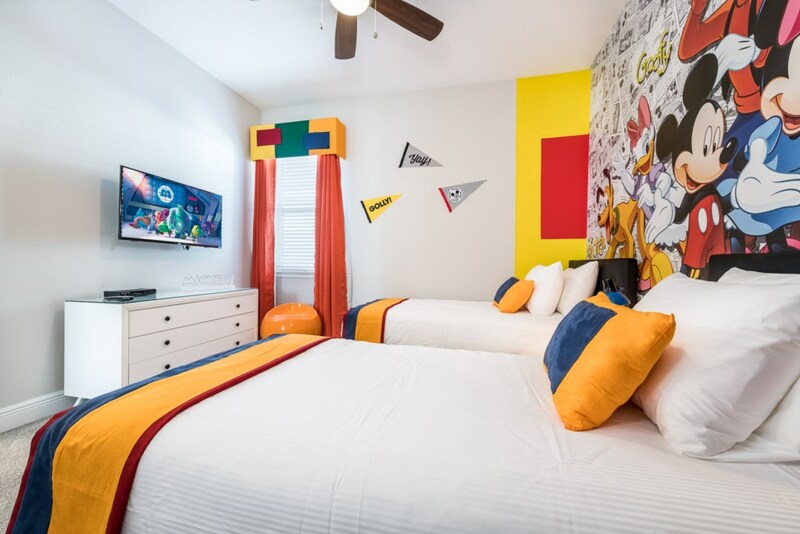 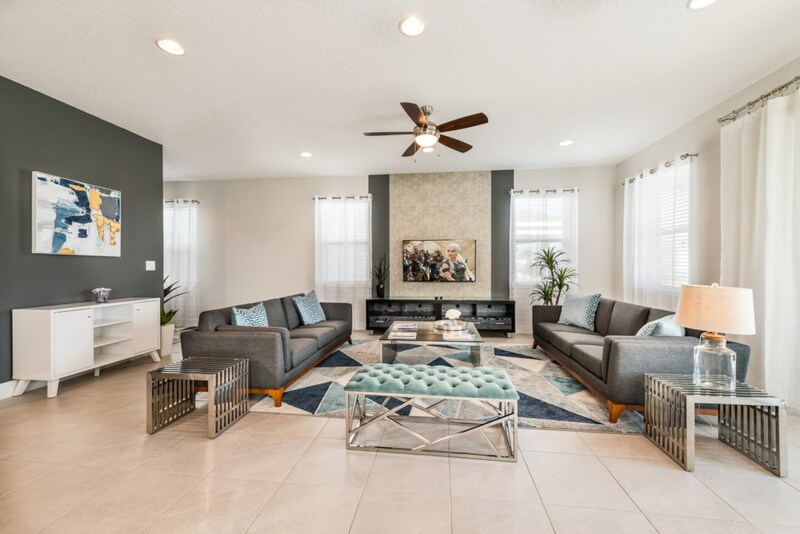 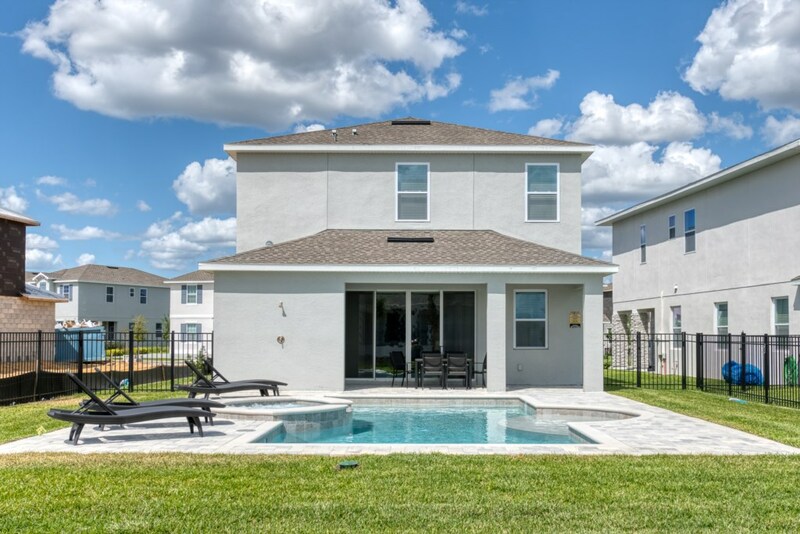 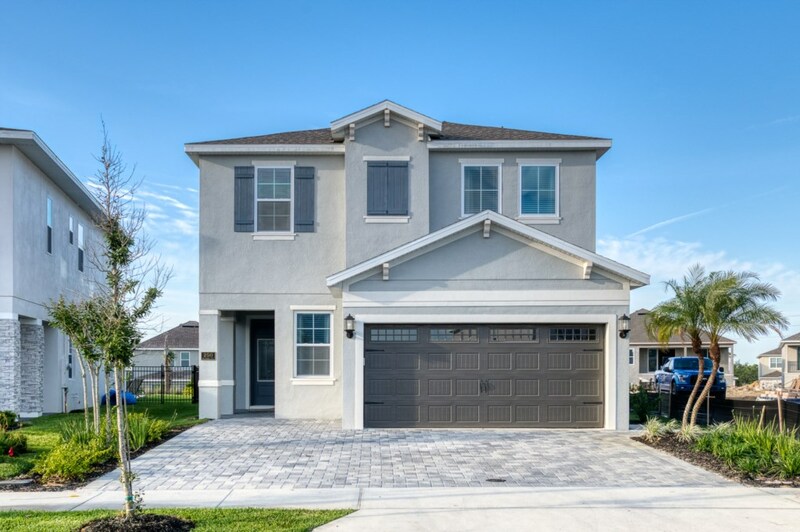 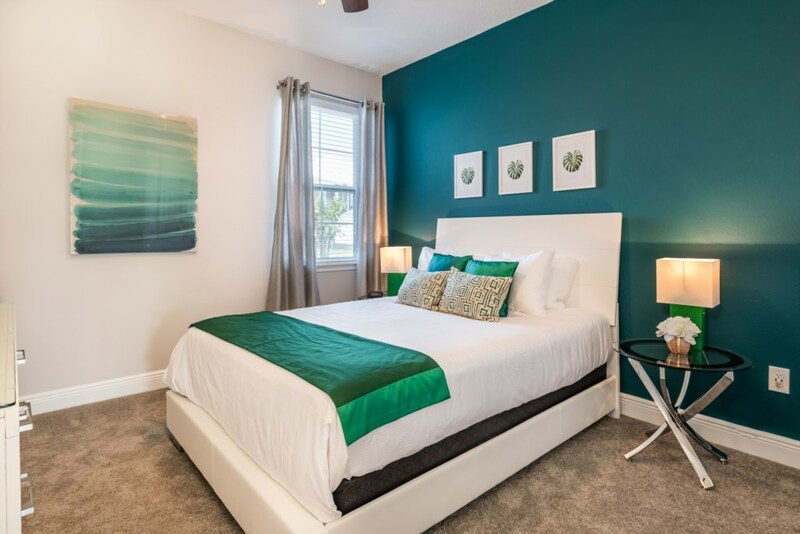 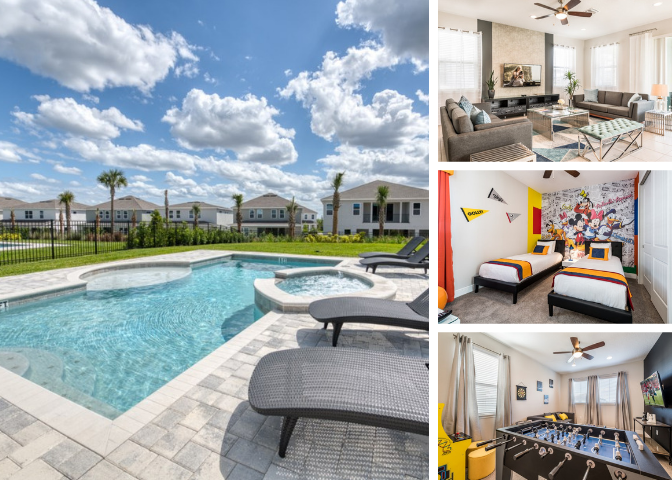 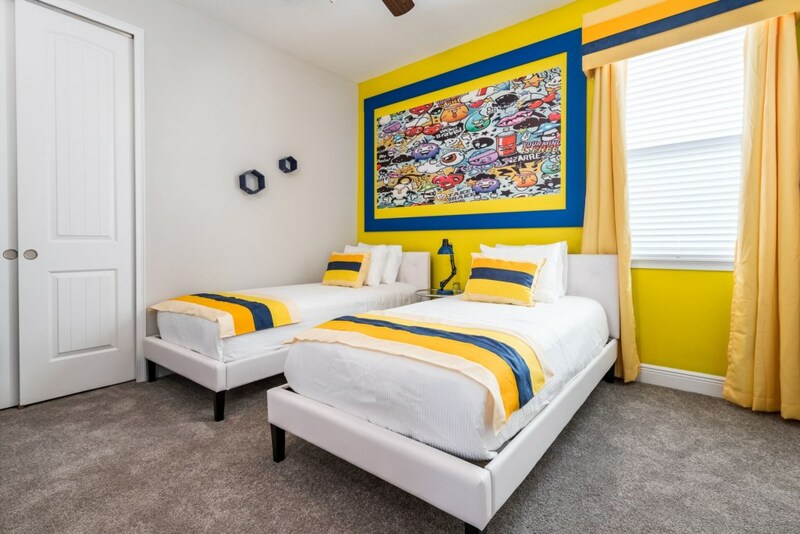 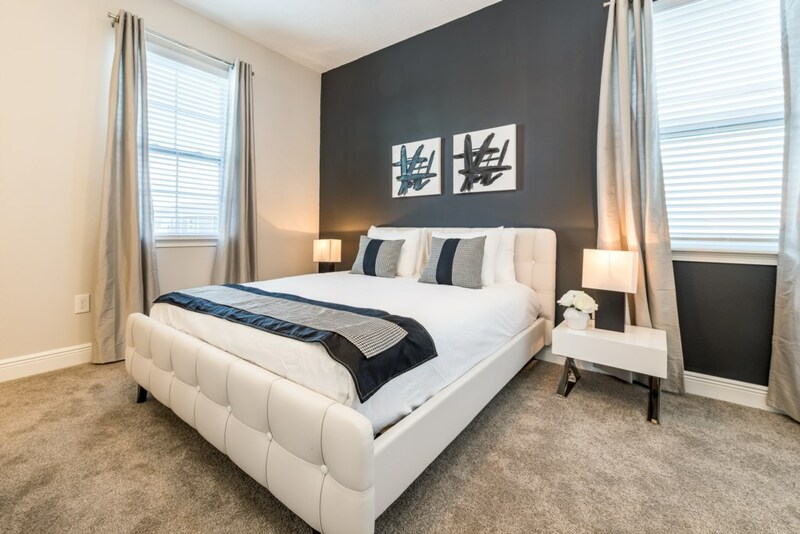 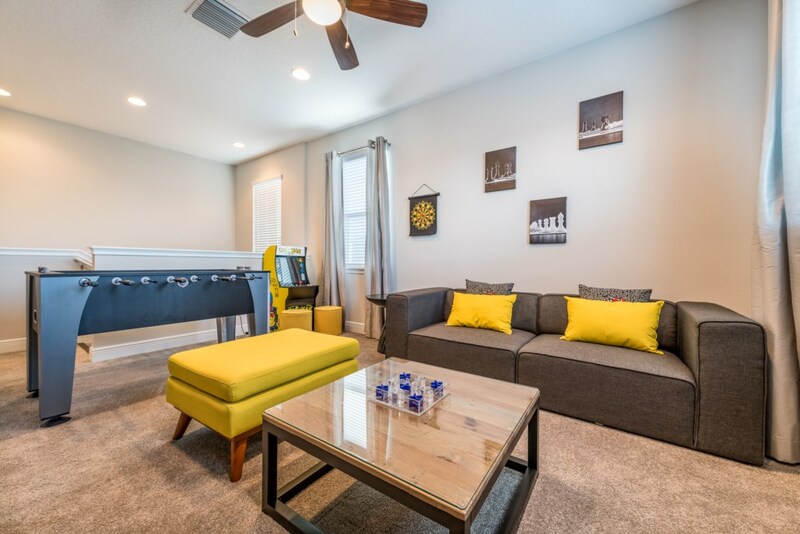 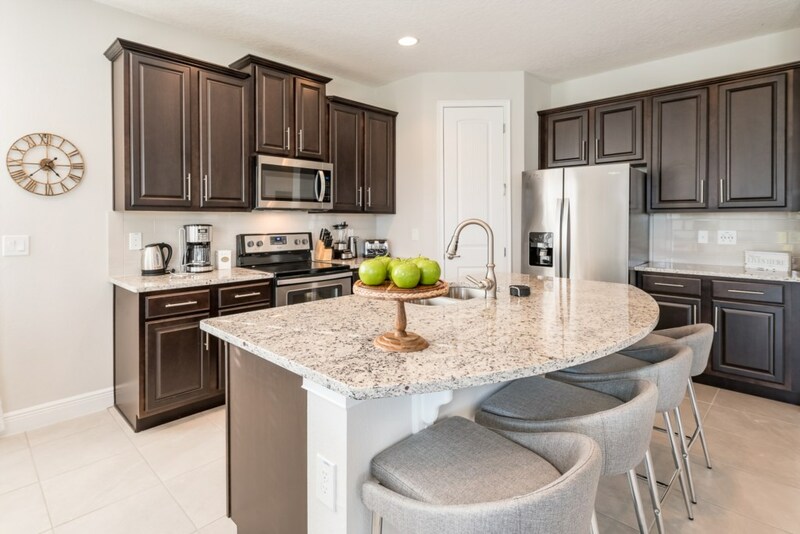 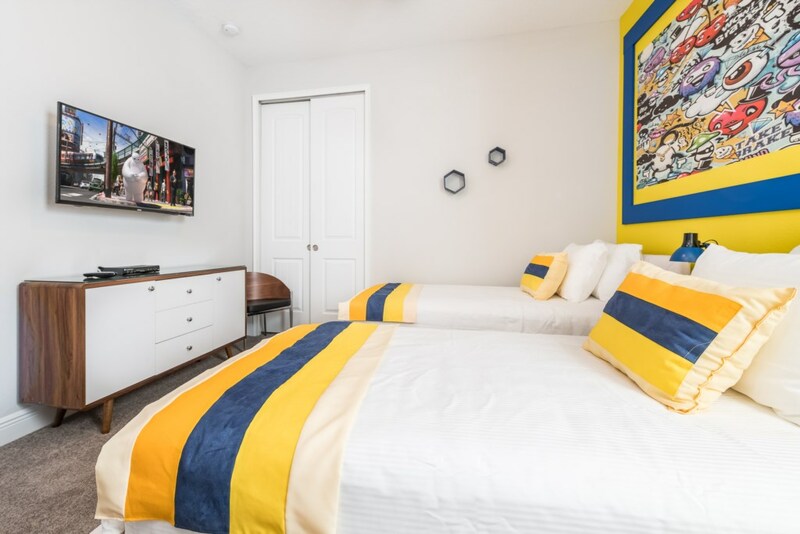 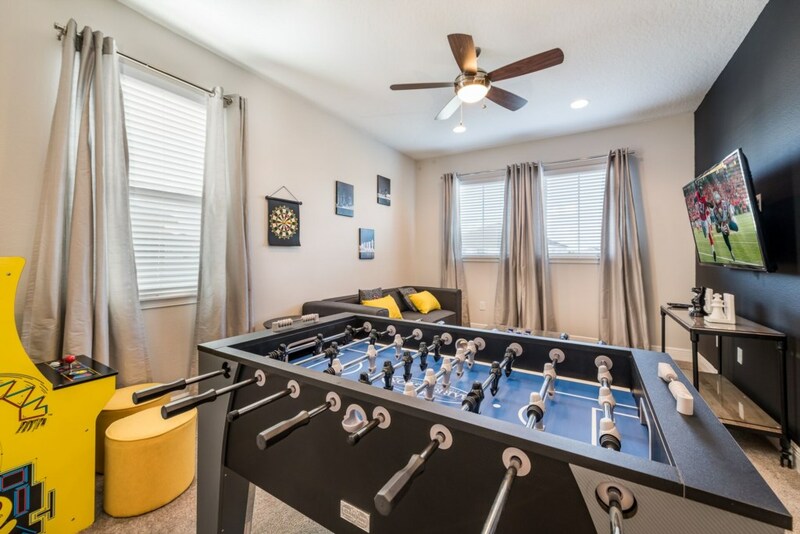 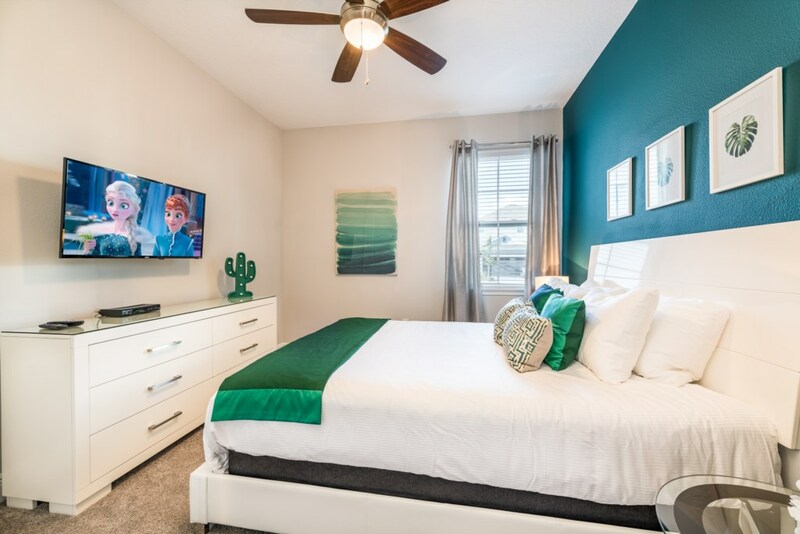 This 5-bedroom open floorplan home, with a sleeping size for up to 10 people, provides a children’s themed bedroom as well as an upper floor loft area with a foosball table and Pac-Man arcade video game for all your entertainment needs. 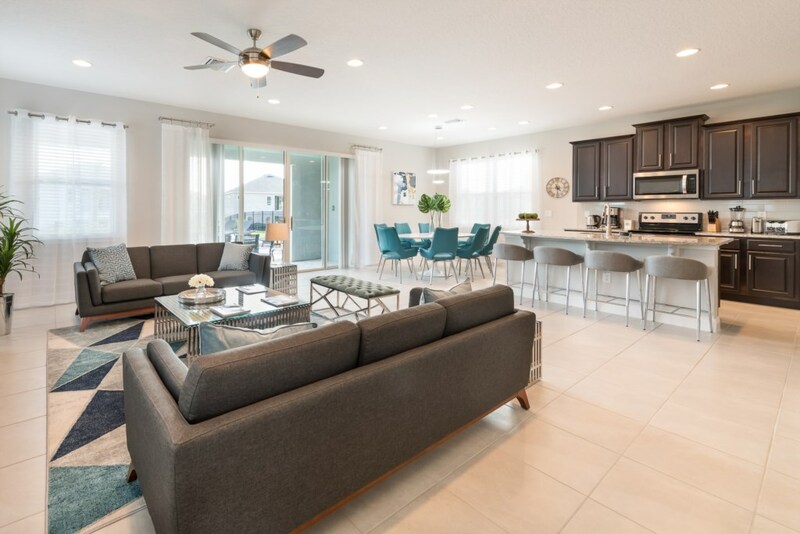 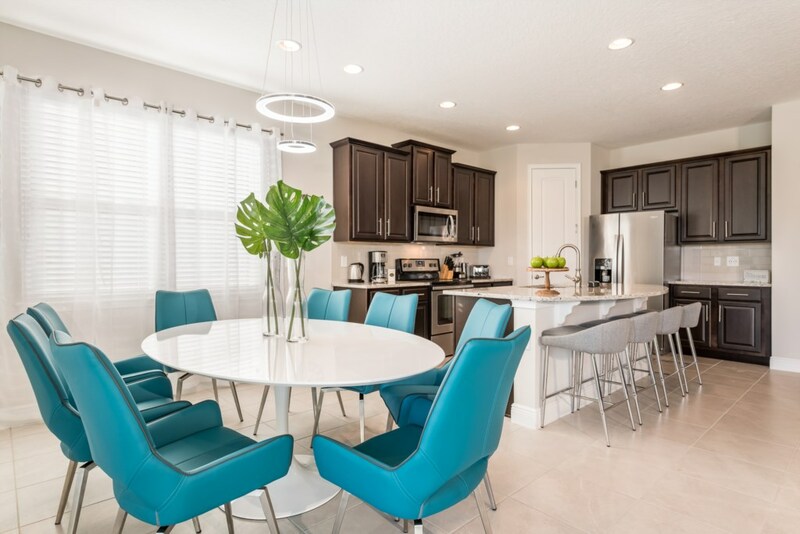 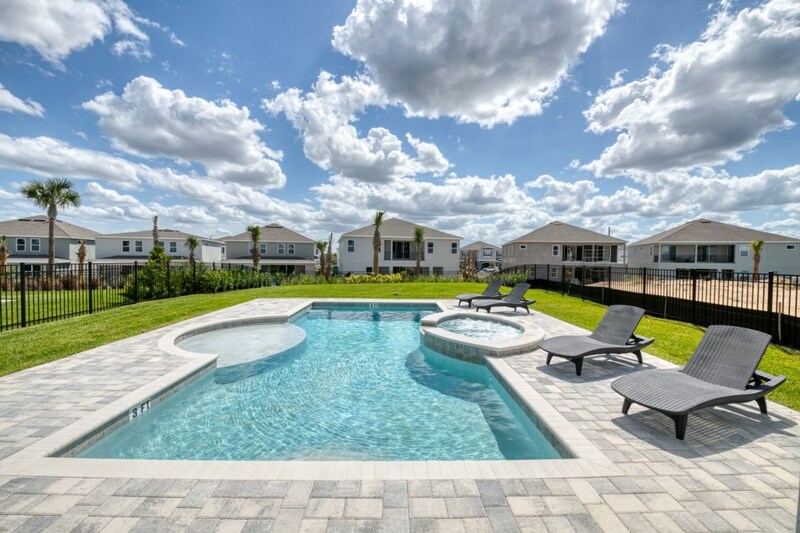 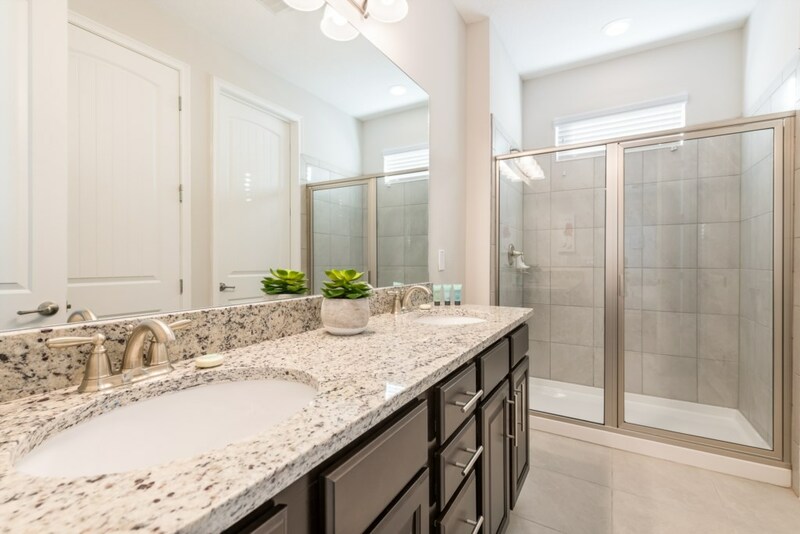 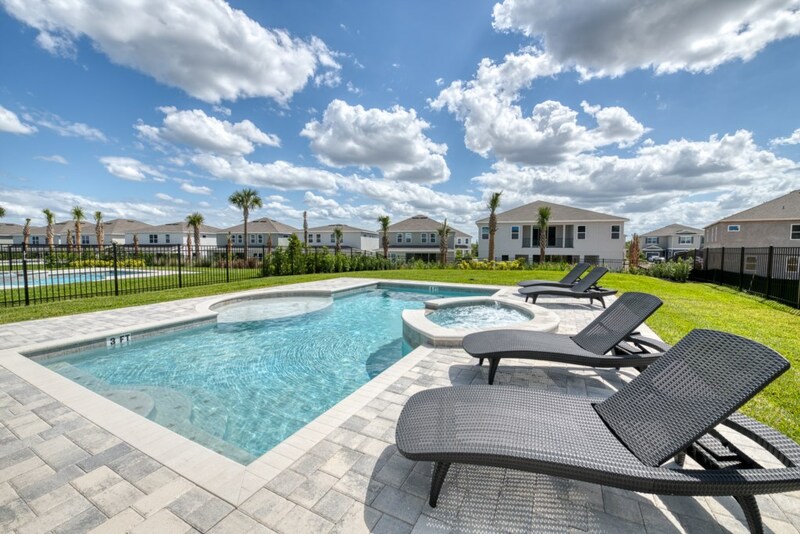 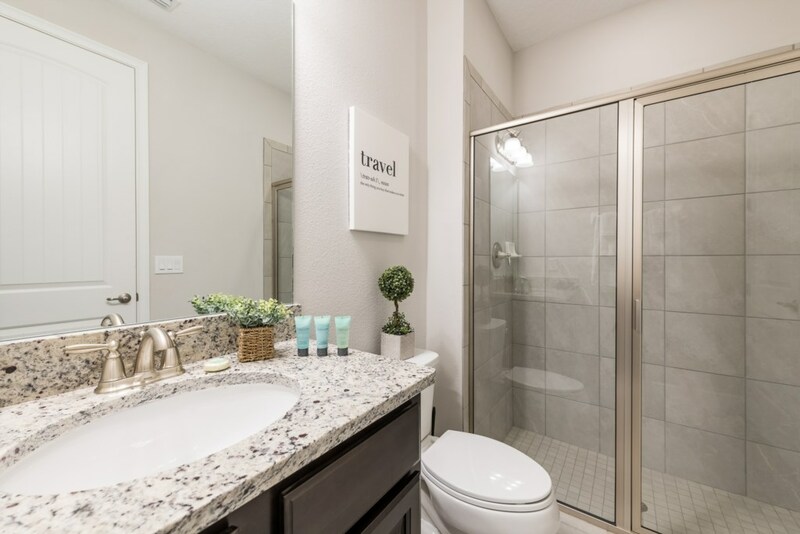 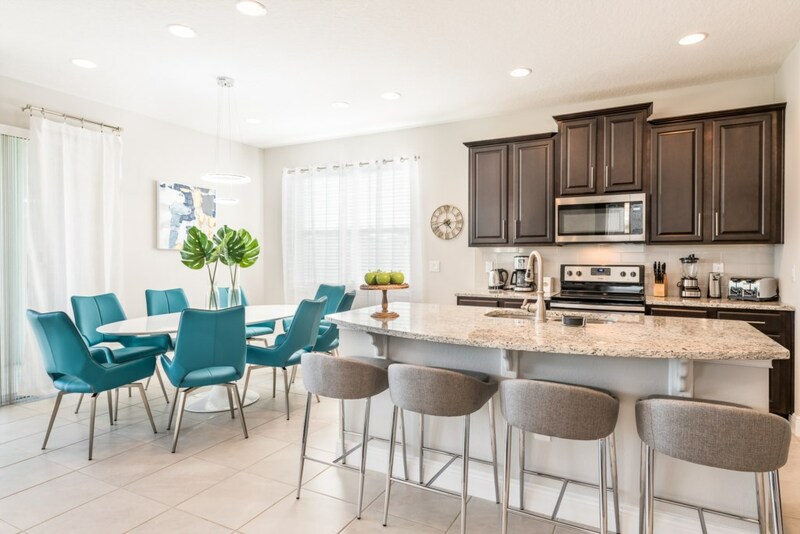 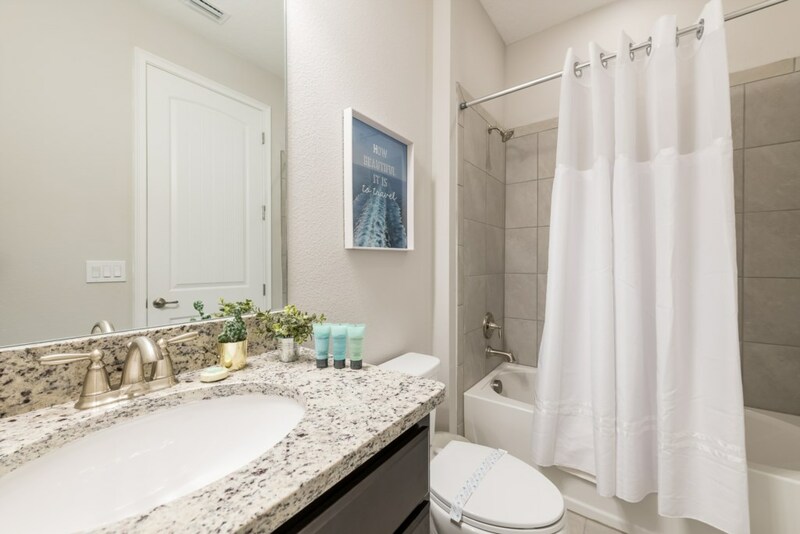 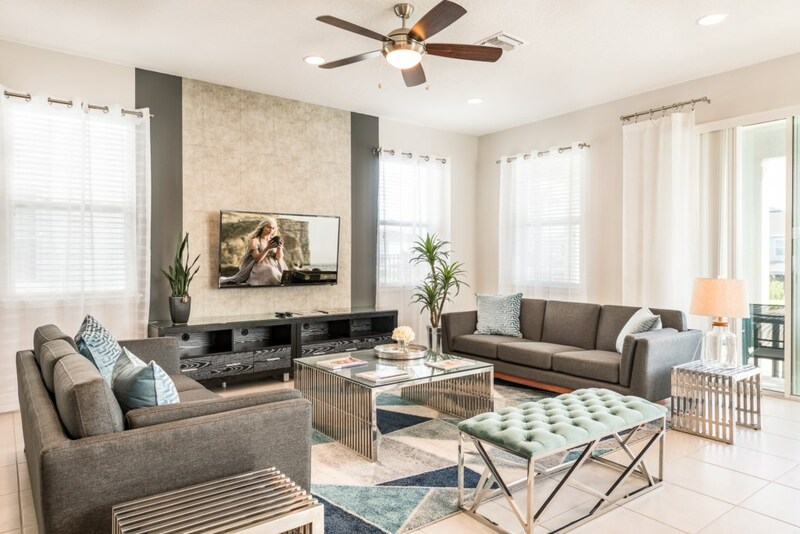 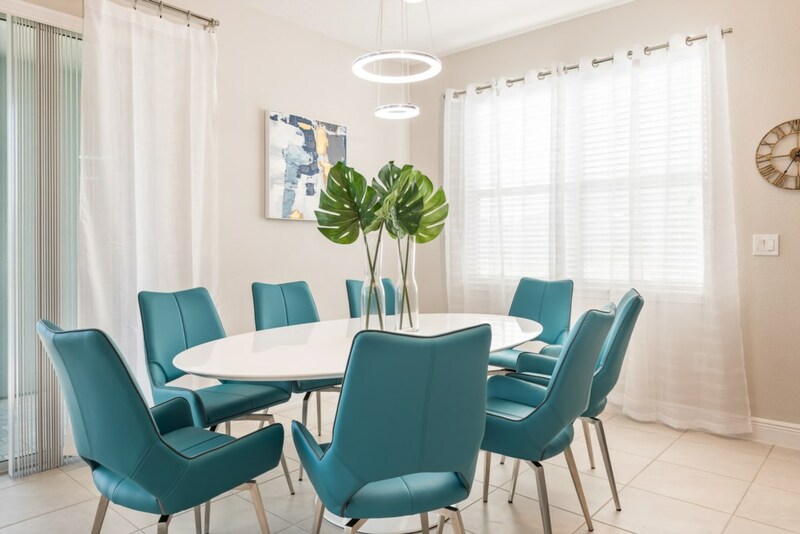 The outdoor patio deck offers a large swimming pool and spillover spa to enjoy Florida's sunshine and warm weather in the best way possible, in the comfort of your very own vacation home as well as be in walking distance of the Encore Resort clubhouse. 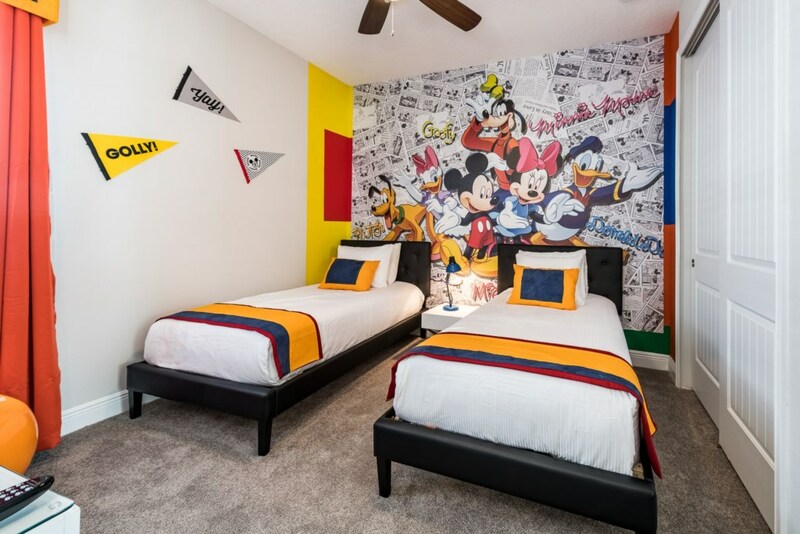 Disney World’s proximity from the Encore Resort is less than a 10-minute drive with free shuttle service and offers exclusive on property amenities including a waterpark with thrilling drop and twisting slides, multiple restaurants and bars, sport courts, and an amenity center with a fitness room and kid's area.